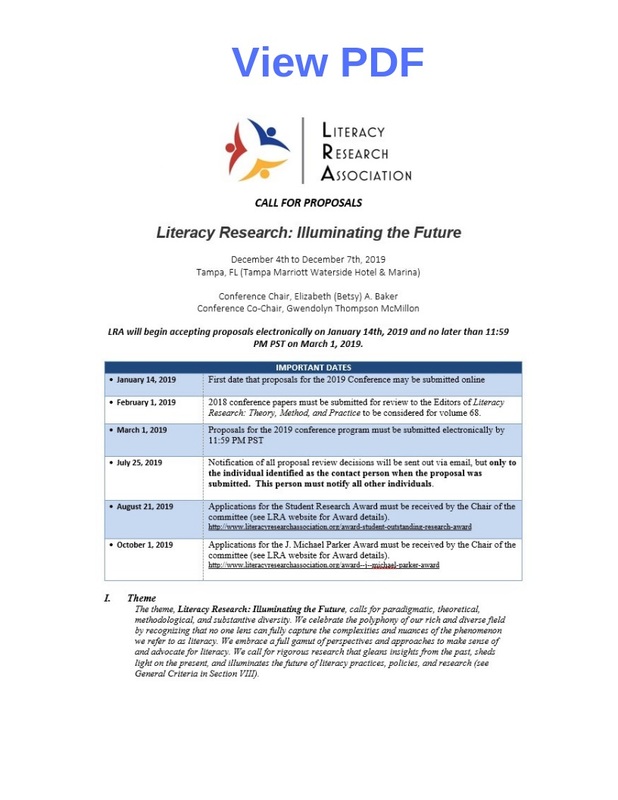 LRA will begin accepting proposals electronically on January 14th, 2019 and no later than 11:59 PM PST on March 1, 2019. LRA staff is available to take questions until 5 PM Eastern Time. February 1, 2019 - 2018 conference papers must be submitted for review to the Editors of Literacy Research: Theory, Method, and Practice to be considered for volume 69. July 25, 2019 - Notification of all proposal review decisions will be sent out via email, but only to the individual identified as the contact person when the proposal was submitted. This person must notify all other individuals.